Last week the Shriekback mailing list got an email that felt like the reissue of Barry Andrews’ “Lost Pop Songs” last year was actually an outlier to wheel turning in Mr. Andrews’ cranium to a conclusion that maybe it was time for the smooth pated one to once again trip the light fantastic in a solo configuration. As the man himself noted, there was something beguiling about the pop form that beckons him to return even as he had kept up a very active Shriekback career for the last two decades. Like the music of most of the artists that I enjoy, to my ears it’s pop – even if the larger public may find the notion incredulous. Hence the title for the mooted album that addresses the traits in Mr. Andrews that result in attempts at pop going somewhat askew due to his penchant for somewhat fruity and vigorous language and a willful penchant for obscurity. So he wants to make another solo venture, his first since 1980 with all his other efforts since then being groupmind [Shriekback] or artrock collaborations [Monsterance, The Fire Judges, etc.]. All well and good! Sign me up. As it turns out this is very much literally possible because Mr. Andrews ahas decided to crowdsource the creation of said volume via Patreon. His campaign began this month and will extend for a period of six months, which I just found out today. I breathe a sigh of relief since the notion of paying a monthly payment in perpetuity is well beyond my limited means. Even for a treasured artist like himself. So what is the breakdown here? I usually find myself crowdsourcing at Pledge Music. The Patreon model differs in that pledges are broken down into monthly payments. On the face of it, a great thing. One may buy in for as little as $10/month for six months with a ceiling at $250[+] a month with loads of care and attention. How do the tiers of engagement stack up? + all the previous tiers. Given that we are saving up for 2019’s Big Ears Festival [more on that later] in about two months, and we are going full festival this time, I don’t see this in the cards, but I will be buying a copy of the finished product once it flies out to the world. Eventually. Shriekfans who are more impulsive and devil-may-care than I am [I’m looking at you, Mr. Gaulke] would otherwise do well to click the button above and tithe away! 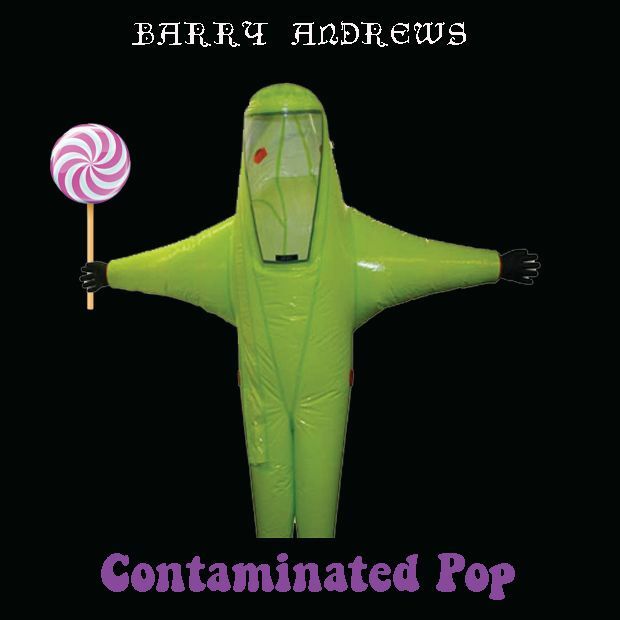 This entry was posted in Core Collection, Want List and tagged 2019, Barry Andrews, crowdsourcing, Solo Album. Bookmark the permalink. I wonder how this will differ from any Shriekback album from Sacred City to when Marsh returned? JT – Well, with the goofier “pop” as in evidence on “Lost Pop Songs” the closest I can guess is something like that, but from a mature perspective of the current Barry Andrews. It would have to step outside of the Shirek-zone, otherwise, why bother? I’m sure that Andrews finds songs that were worth writing but were outside of the Shriek-zone. They could pile up until now.